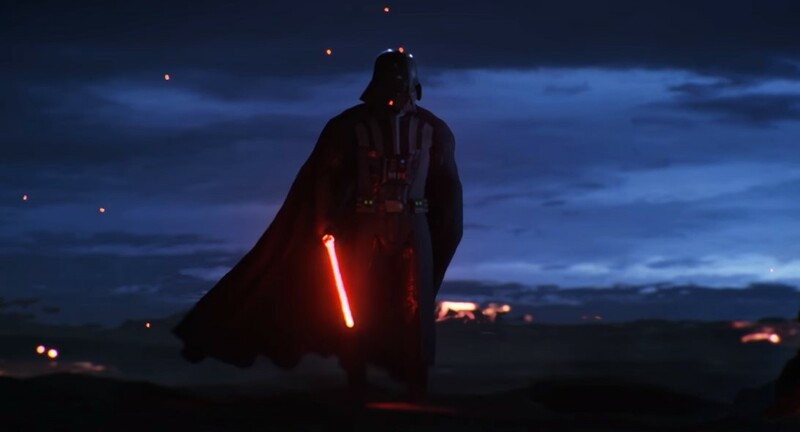 Darth Vader rises in a new trailer teaser from ILMxLAB for what appears to be a new VR game that was first announced at Star Wars Celebration Europe in 2016. The teaser from the ILMxLab social media pages is a GIF of Darth Vader with, "Alert all commands." The full trailer and announcement will be online tomorrow. Regarding the Darth Vader VR game, back in 2016 saw it officially announced that David S. Goyer was working on the new project, who is known for the Batman Dark Knight movies, Man of Steel, the Blade franchise and also wrote Call of Duty: Black Ops II. ILMxLAB was launched by Lucasfilm in 2015 to embrace the next truly transformative opportunity in entertainment: immersive storytelling powered by real-time computer graphics. Our award-winning team strives to transition from storytelling to storyliving by using VR, AR and other emerging technologies to bring worlds to life and establish deep and intimate connections to characters. We develop and publish premium, story-based immersive entertainment experiences for the home, theatre and public venues. Based in San Francisco, ILMxLAB is known for CARNE y ARENA, the Oscar-winning VR installation directed by Alejandro G. Iñárritu, and the critically-acclaimed hyper reality experience Star Wars: Secrets of the Empire.